GippsAero has completed first flight of its new GA10 single turboprop. 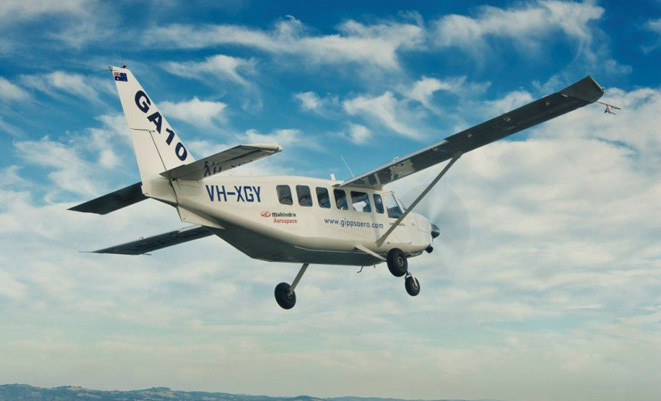 Powered by a Rolls-Royce 250 engine and based on GippsAero’s GA8 Airvan, the ten-seat GA10 will be marketed to a variety of roles including passenger and freight transport, air survey and surveillance. GippsAero, which is owned by Indian automaker Mahindra, hopes to begin shipping the GA10 next year. The 20-minute first flight was completed at GippsAero’s home base at Latrobe Regional Airport earlier this month.